Srilankan has some really cool fares to Maldives. If you've been thinking of a trip to the island nation, you can check and book your tickets now. For travel dates not so far- like November 2017, you can get a return ticket for about Rs 12000, which I think is a good deal. Gan Island is not the main entry point to Maldives. Male (MLE) is the main airport. You can also fly in to Male, it will cost a few k more. Gan Island will be far less crowded compared to Male. There're enough resorts and islands around Gan, so you can have an equally good Maldives experience. Why I think Rs 12000 to Maldives is a good deal? 4. 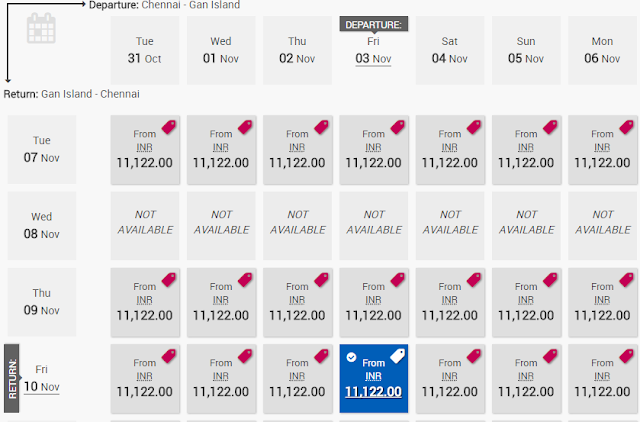 11222 you see below is the lowest I have seen on Srilankan to Gan Island, don't think it will get any cheaper. For Male airport, lowest I've seen is some 10800+ not available right now. 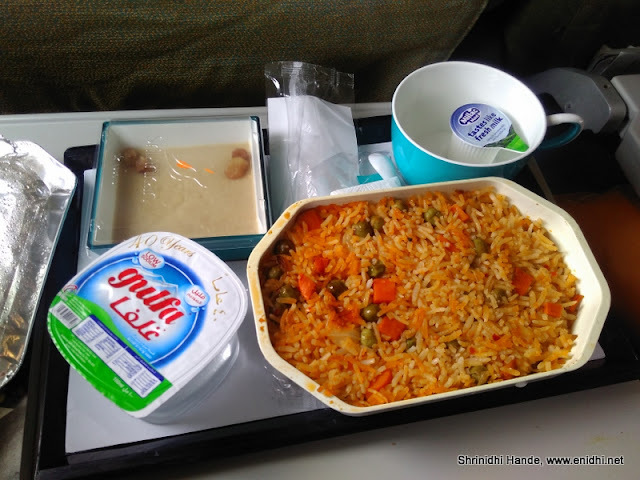 Both Air India and Spicejet connect to Maldives (Male only) via Trivandrum/Kochi. But I am sure Srilankan can give a much better flying experience than Spicejet or Air India. Even if Srilankan is expensive by a thousand or two, I would still recommend them. Indians get free Visa on Arrival at Maldives. Srilankan may charge your credit card in USD. So factor an additional 3% for currency conversion charges (your bank may charge this). Above fares are non-refundable. You will get almost nothing if you can't travel. There're other expensive fare if you want flexibility. Book Srilankan here. For hotel bookings, use the widget below.